In accordance with established conformity assessment practice and accreditation requirements, BASEC operates an appeals process where by certification clients may appeal against BASEC certification decisions. Appeals against refusal to grant certification. Appeals against decisions to reduce, suspend or withdraw certification. Appeals against auditor decisions on issues such as audit findings. Appeals related to product surveillance testing and applied sanctions. In principle, any type of certification decision made by BASEC may be appealed. BASEC operates its appeals process under a written procedure. All appeals should be made in the first instance in writing to the Certification Manager. Appeals against auditor decisions are initially addressed by the certification manager. If it is not possible to resolve the appeal to the satisfaction of the client and BASEC, the appeal is referred to the Chief Executive for review. Other types of appeal are referred immediately to the Chief Executive. The Chief Executive will discuss the appeal with the appellant and with relevant staff in BASEC. 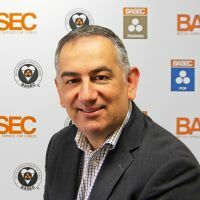 If the appeal is not able to be resolved by the Chief Executive to the satisfaction of the client and BASEC, then the appeal may be referred to the appeals panel of the BASEC's Board of Management, through BASEC's independent chairman. An appeals panel is appointed by the independent chairman in accordance with the terms of reference. The appellant and BASEC present their arguments at an appeals hearing. The decision of the Appeals Panel is final. Clients wishing to raise an appeal should in the first instance contact the Certification Manager.